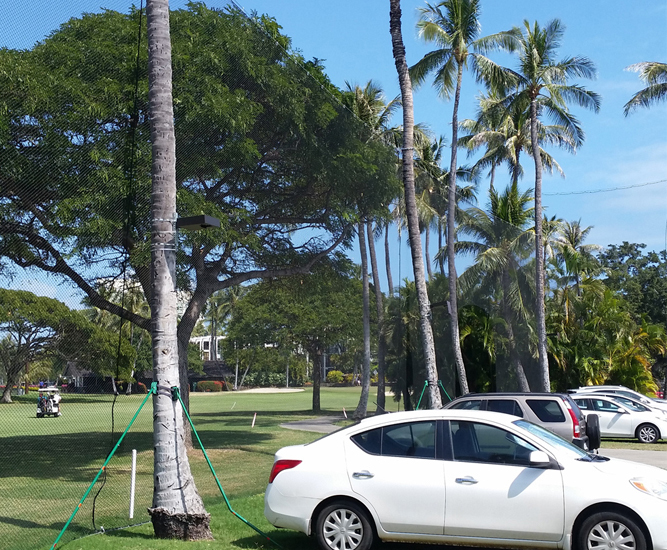 Sustainable Lighting for Parking - First Light Technologies Ltd.
Opting for solar is the most cost-effective solution for lighting parking lots. It eliminates the need for trenching to install electrical wires and site remediation. 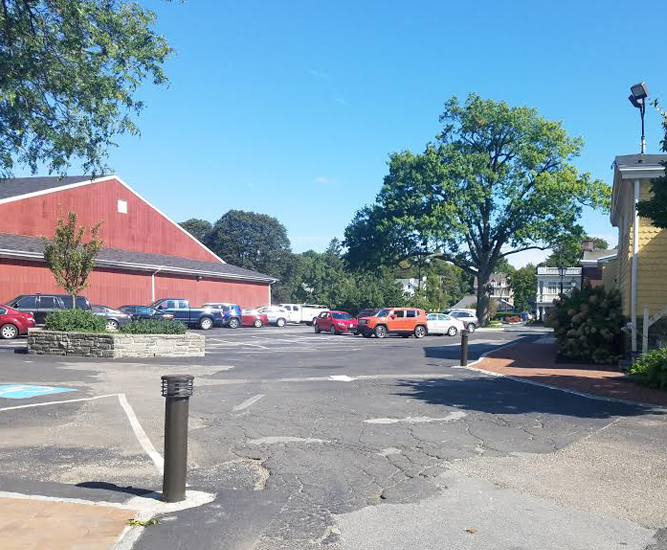 With parking lots around the world already being lit with First Light solar products, you can also benefit from no ongoing electricity use while being a leader in sustainability. 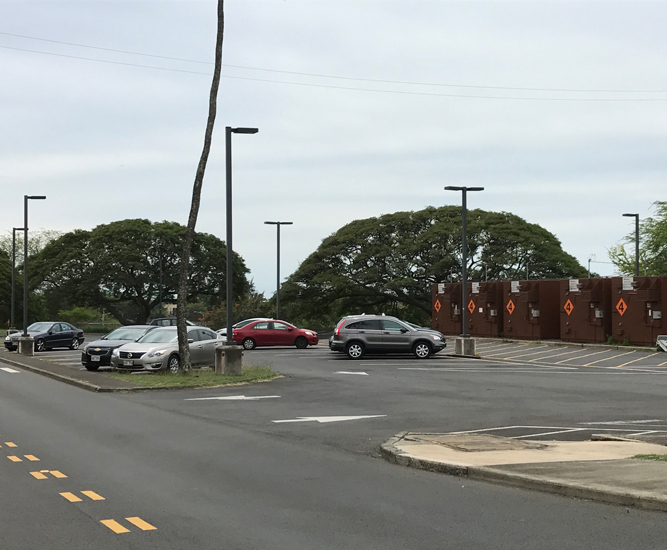 First Light is ideal for parking lots where it would be expensive to build a connection to the electrical grid, including the cost of trenching for wires and remediation afterwards. The time to mount and connect a fixture is often less than 15 minutes. 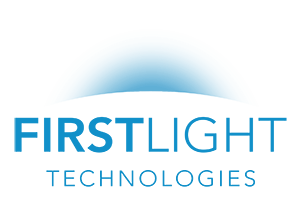 First Light products incorporate a number of features to ensure reliable lighting performance including being built with robust materials and smart adaptive capabilities. Each light is able to learn about it’s surroundings and adapt so that it’s on all night, every night. Once installed, there are no ongoing electrical costs and our high-performance lithium batteries have a life cycle of 8 to 10 years. When needed, battery changes are designed to be simple and there is no risk of wire erosion or theft. 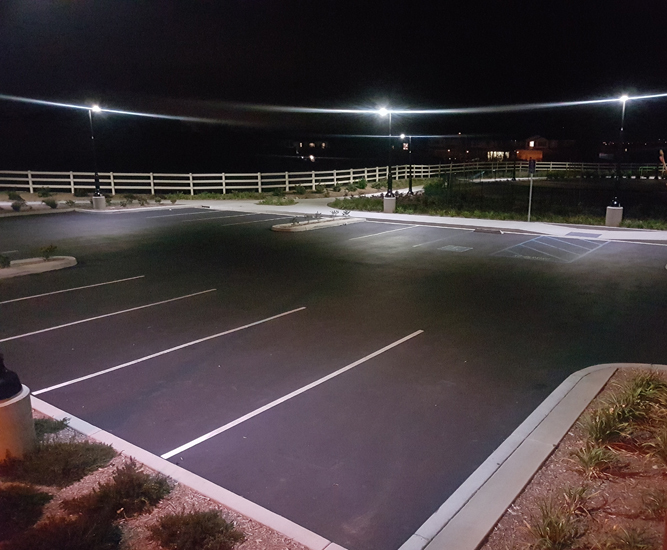 First Light products give users the light they need to safely navigate parking lots while also providing light levels to help deter crime. This helps to enhance accessibility and usability. Our solar products eliminate the need to rely on electricity from the electrical grid. This, combined with less construction needed for installation, reduces the emissions of greenhouse gases. Further, we source components as locally as possible and most materials in our lights are recyclable at end of life. Our self-contained fixtures are designed to look just like regular lights which minimizes visual clutter. Avoiding large solar panels and housing for batteries also reduces the wind loading that must be accounted for, allowing for thinner (and cheaper) poles. These Parking Lots Are Lit! The SCL was the perfect fit for a golf club that’s on the PGA tour. A beach access in Florida needed to balance the safety of both people and baby turtles.